Everyone needs tax help from time to time, but tax help for senior citizens is often crucial. Seniors face unique issues when they retire, including income from social security, payments from tax-deferred sources such as 401(k) plans, and interest income on retirement savings. Interestingly, the most helpful resource for federal tax help for seniors is the Internal Revenue Service (IRS) web site. Use of this site for taxpayer information may seem counter-intuitive, because we often view the IRS as "the enemy." However, the IRS works directly with AARP to support their Tax-Aide program. They also sponsor the Volunteer Income Tax Assistance Program (VITA) for qualified individuals in locations across the USA. There is also tax help available to both active and retired military service members. AARP's Tax-Aide, a cadre of volunteer tax preparers and assistants, provides free tax help to senior citizens. 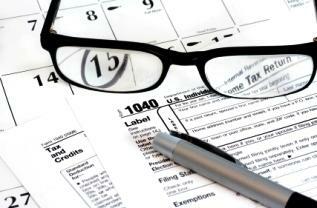 According to the AARP web site, Tax-Aide now has over 34,000 volunteers, who are trained in cooperation with the IRS. In recent years, they have helped more than 2.5 million taxpayers at 6,500 locations with senior centers, libraries, and other community centers. The IRS' VITA program provides tax assistance to low to moderate-income citizens. Generally, the income limit to qualify for the program is $49,000 annually. Volunteers in the VITA program are sponsored by local organizations and trained with the assistance of the IRS. Their services are available in libraries, senior centers, shopping malls, community centers, and other locations easily accessible locally. AFTC provides tax preparation assistance and information to members of the military and their families. Retired military personnel are also eligible for these services. The AFTC personnel are uniquely qualified to address issues specific to tax issues that affect military personnel. When Do Seniors Need Help? The IRS has identified tax preparation problems that seem to occur more frequently among seniors than within the general population. These include computational errors, omissions, and missing certain deductions that might affect seniors' tax returns. Seniors new to Social Security may need help in determining if their Social Security and other income is taxable. Seniors with disabilities, including memory decline, vision, or hearing problems may need assistance as well. In some cases, a senior's cognitive functions may decline making it difficult to read and follow complex instructions or to fill out difficult forms. Like many other senior services, organizations that provide tax help for senior citizens are filling a recognized need among elders. AARP's Tax-Aide volunteers provide state tax assistance; however, the VITA program focuses on federal income tax. To get more information on tax preparation assistance, it is a good idea to contact the state tax board. State tax board websites often post frequently asked questions and answers (FAQs), and may have people you can contact via telephone or e-mail with specific tax questions. Preparing income tax forms is a challenge for most people, and seniors may need more help than their younger counterparts because of retirement, physical disability, or changes in mental acuity. Fortunately, across the USA there is a network of volunteers who make their services available through a variety of local organizations. These volunteers are not only committed to helping; they have taken the time to study tax laws and guidelines so they can expertly provide tax help for senior citizens.